Faulty new parts, part deliveries and gremlins in the works have all delayed us from leaving on Thursday, then Friday, then Saturday. Fingers crossed we go tomorrow! 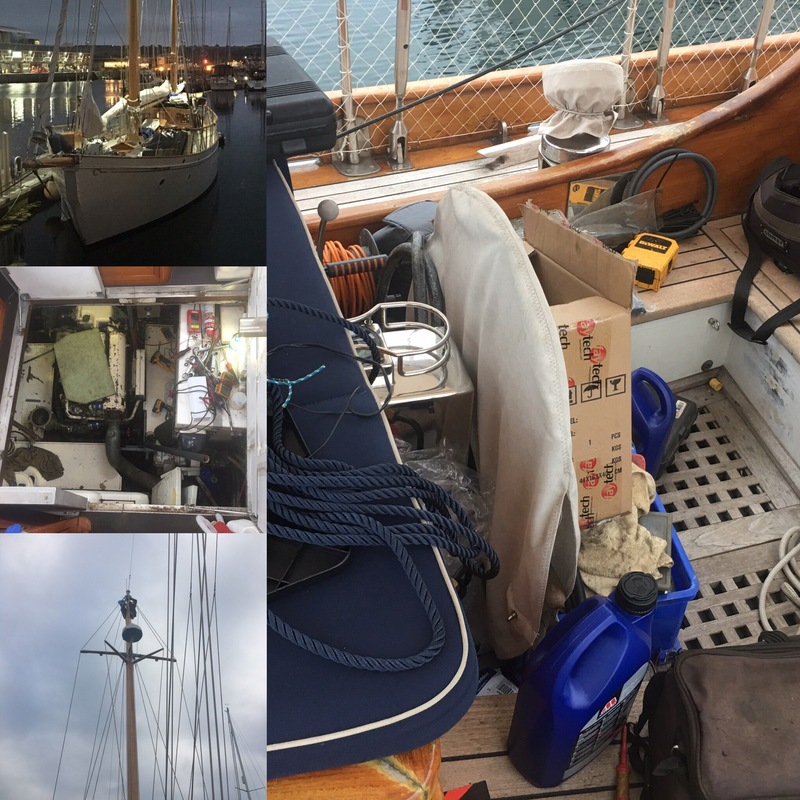 Still chaos on board, Bill up the mast again, and working late into the night.